A vacancy notification for MPHC Recruitment has been broadcasted by Madhya Pradesh High Court. Achievement oriented and skilled Jobs Hunter may submit their prescribed application form for the 04 positions of Assistant Librarian before the last date that is 25th February 2019. Education Criteria: Those job hunters have done the Graduation Degree (Library Science) from a recognized University or Institution may apply. Candidates applying for any aforesaid post and belongs to General/All Other category shall be required to pay an application fee of Rs. 800/-. 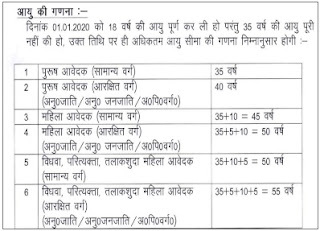 Aspirants belongs to Reserved category of MP/PwD category have to pay Rs. 600/- as application fee. Salary Details: Contenders that get shortlisted after qualifying the selection process will get Rs. 28,700 - 91,300/- as per organization norms. Job searchers who wish to apply for MPHC Jobs needs to go on official site that is http://mphc.gov.in. Written Exam Date : 29-03-2019. Check MPHC Recruitment Notification Here. Job searchers can also get latest updates about MPHC Vacancies by bookmarking this page using CTRL+D.